Many Christians will look at the teachings of Jesus as though He were speaking directly to believers of today, when much of the time He was speaking to Jews under the law. 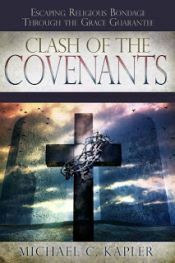 By looking through the lens of the Old Covenant, we can begin to see quite often where Jesus said some things that were never meant to be a life application for us in the New Covenant. In fact, we'll discover Jesus was attempting to show His Jewish followers how they simply could not live up to the requirements that it would take to truly be His disciple and inherit eternal life. 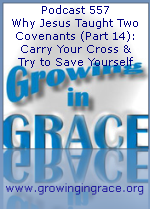 One of these examples is when Jesus referred to them carrying their own cross. It has become a modern-day religious talking point, but it's clear Jesus never meant for us to carry our own cross when He said, "Whoever tries to save their life will lose it."